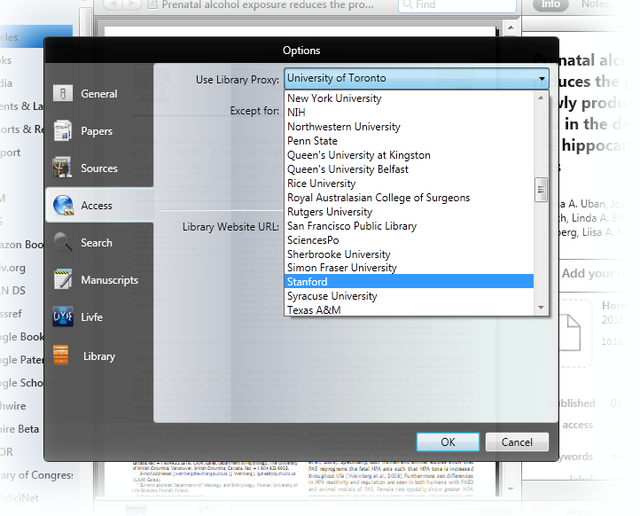 You can select your institutions Library Proxy from the drop down menu under Access in the Options menu. - Select File -> Options -> Access - Select the appropriate proxy. If your institutions proxy information is not listed, please email support@mekentosj.com!